France. I love it. I love everything about it. The food, the drink, the people, the countryside, the cities, the fashions, the language – everything. Ever since my first trip to France aged 13, I’ve been hooked. Our itinery was fairly loose, and we were going to “wild camp” as often as we could, something in which the French were reknowned for, and well equipped for. I’d been telling Keith ever since we got Daisy how we should get our selves across the water and do some motorhoming, French styleee. The French have this awesome awesome system called “Aires”. 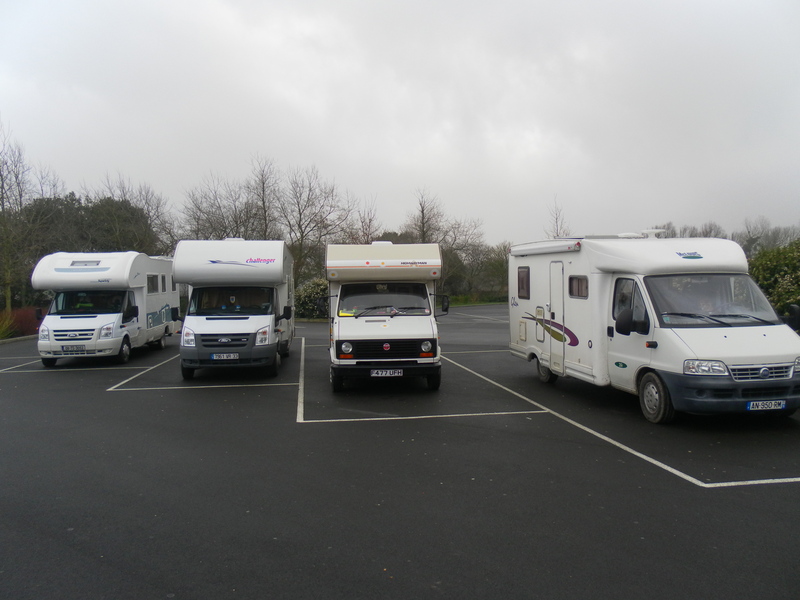 An aire is usually an open space/car park area specially set aside for motorhomes, or camping cars as they are know in French. Often they have services such as a water tap, maybe electric, waste dump etc, and quite often they are free or a minimal charge. The aim is to attract campers to the village/town, they stay for free, and then spend money in the area on a meal, in a bar, at the market- wherever and whatever. What a great idea. UK needs to wake up to this, sooner rather than later in my opinion. 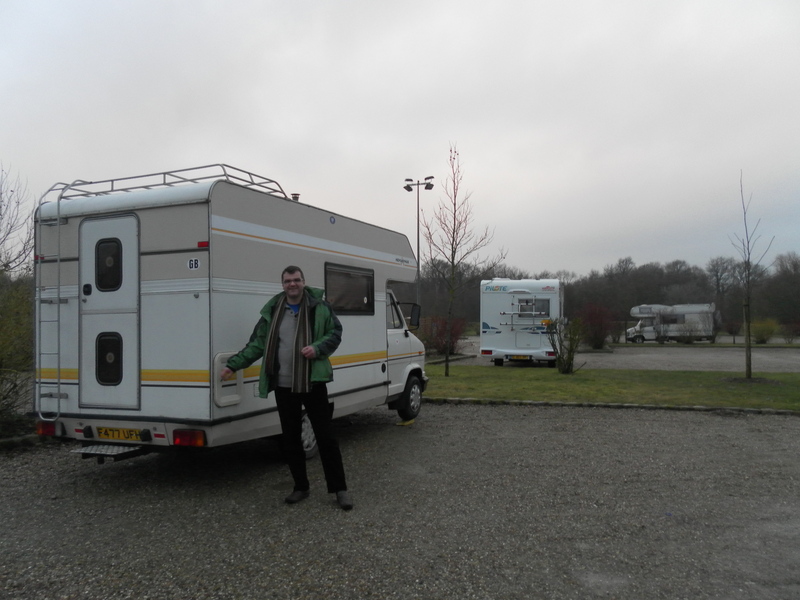 Anyway, I subscribed to this fab website http://www.motorhomingfrance.co.uk/ which list all the aires in France, and exactly where they are and what they provide. I had even marked them all on our road atlas for france. Talk about being prepared. What I failed to realise was that a) February isn’t a very popular time to motorhome in France, therefore b) hardly any of the aires that we visited had any fresh water or electric available. More on that in a sec..
First stop in France was the glorious St Valery Sur Somme. What a gem. We arrived in time to park up in what we would learn to be the best aire of that trip. 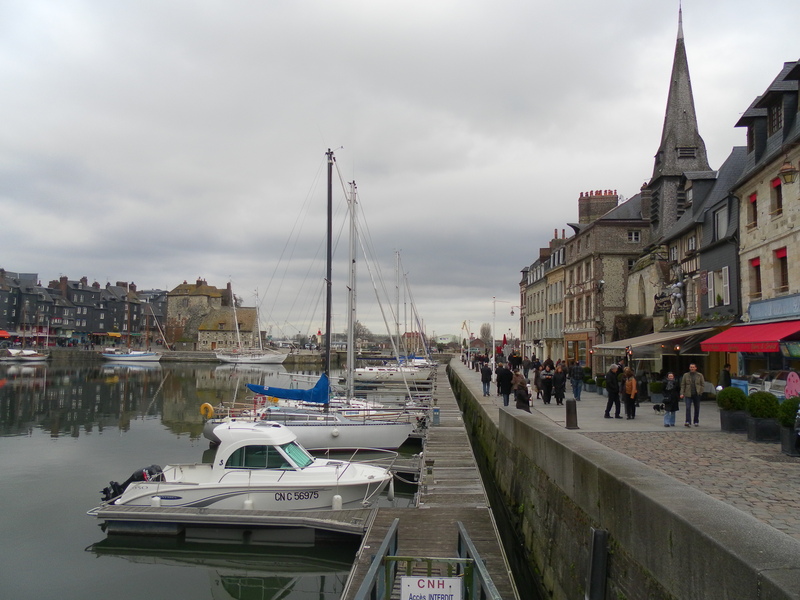 We managed to park up, plug in to get eleccy, fill with water and wander down into town for a Croque Moseur and a litre of red all before 2pm. All was fabulous in the world, we were happy as larry. 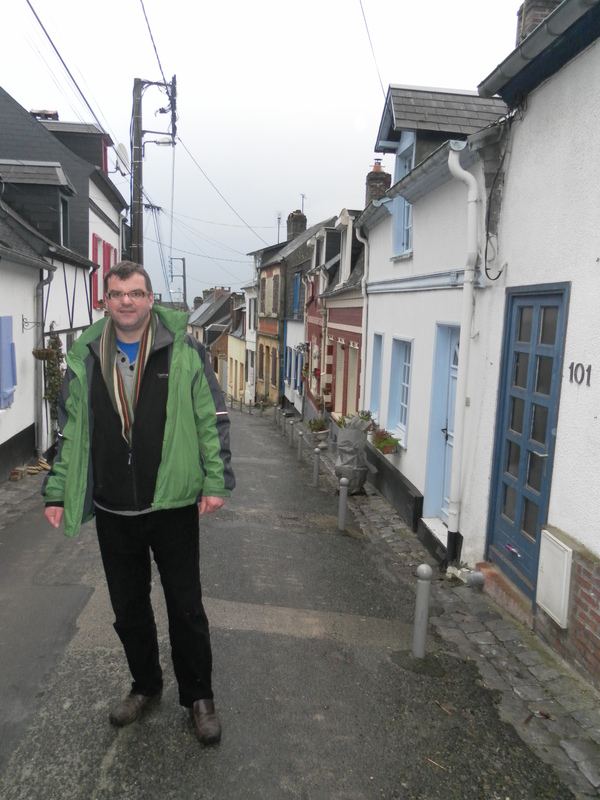 We had a lovely afternoon exploring the town and headed back to Daisy later on. We had a perfect night on the aire and couldn’t believe we had waited so long to come and do this! Next morning, Keith went for his shower in Daisy and discovered we had no hot water. This later developed into no gas. Bummer. One thing we had been told- make sure you have enough gas, as the french system is different and incompatable with English vans. Crap. We had no gas on the first day of our holiday, and the gas powers the hot water system, the cooker, and the heating, and we are in the middle of winter in Northern France. Our lack of organisation on the gas front was made up for by our over organisation on the things we had stocked under out seats. A quick delve and we felt reassured- we found our electric heater, our old camping stove that we thought we’d cart with us “just in case” and athough we couldn’t do much about the hot water system, we decided just to grin and bear it and book on a site a couple of times for a good hot shower. 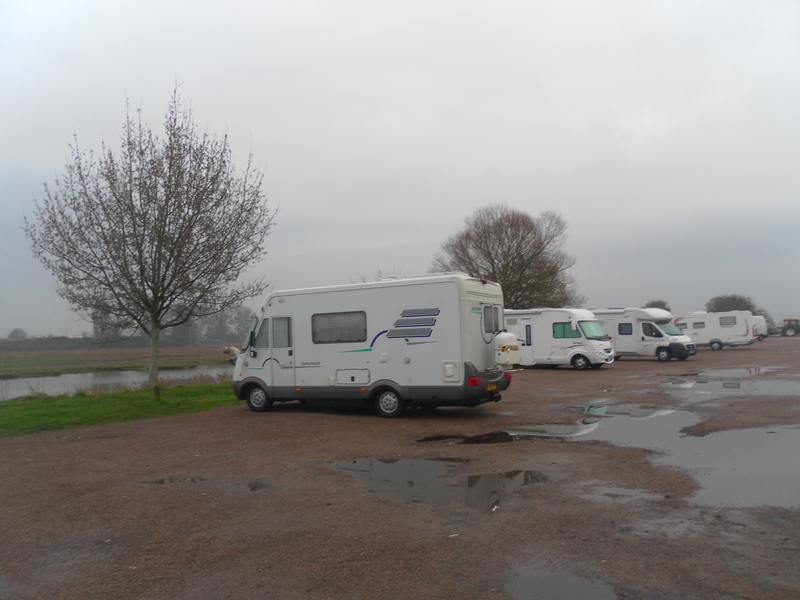 One thing I hadn’t quite realised is that in France, in February, pretty much every single campsite is closed. I mean it, we called loads and could not find a single one within the whole of Northern France! So no hot shower for us then this week. Oh well we kept saying, we are camping! Back to the camping and the tour. Hornfleur. Magical. Especially when it was sunny, which it was when we visited. The aire there is great. 5 minutes walk to the centre of town. You just can’t complain at that. I think we paid 3 euros. Try finding a b&b for that much. 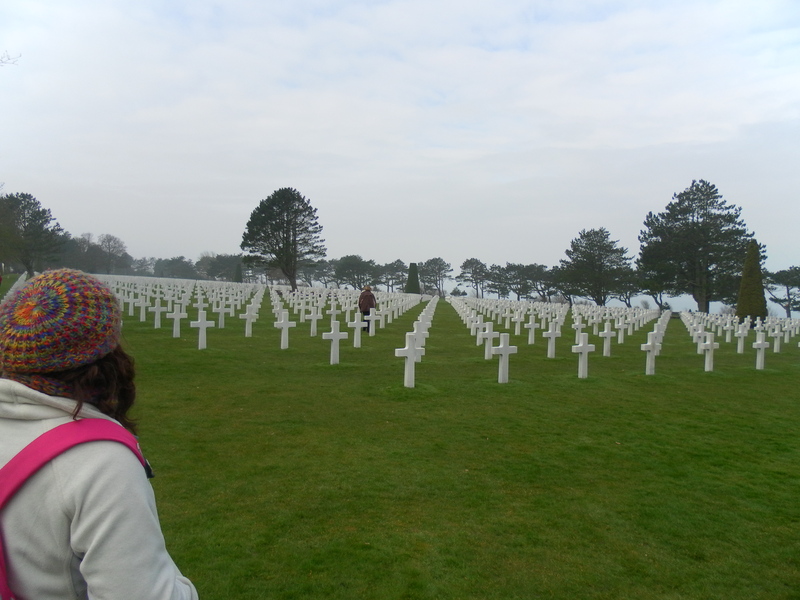 Omaha Beach and the American Cemetry. I have to be honest, this wouldn’t have been my first choice of places to visit, but my Keefy wanted to, and my goodness am I glad I did. It was very interesting. And so unbelievably emotional. 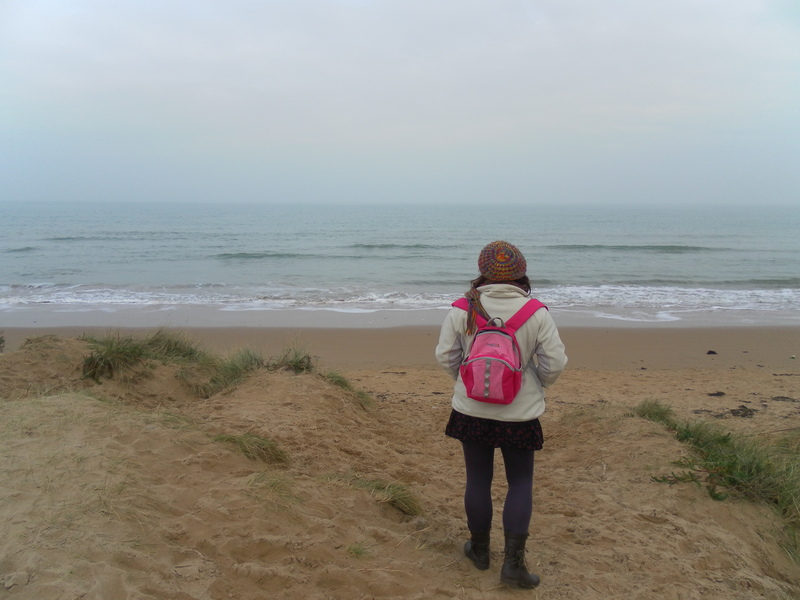 We stood on Omaha beach and I just couldn’t help myself, I was so overcome with emotion I found myself crying. 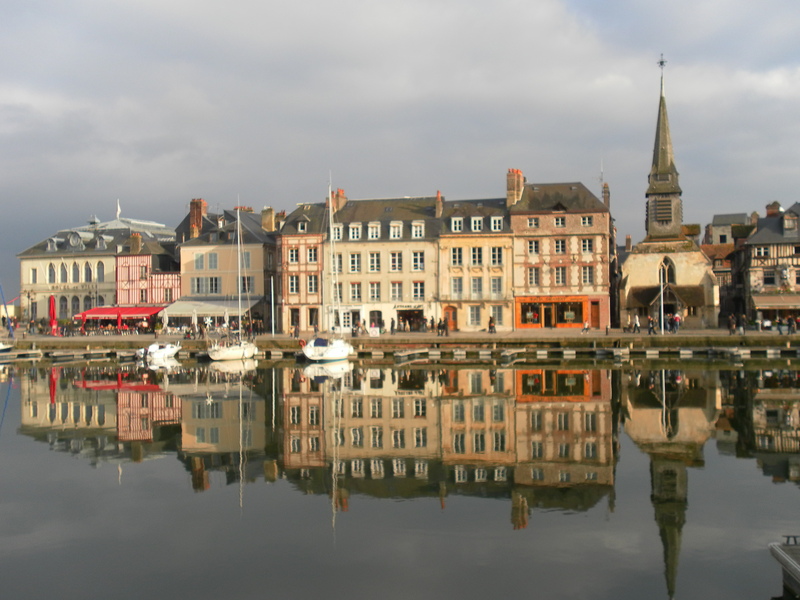 Rouen. Now- this is where we had a slightly unfortunate/worrying incident in Daisy. I was driving. 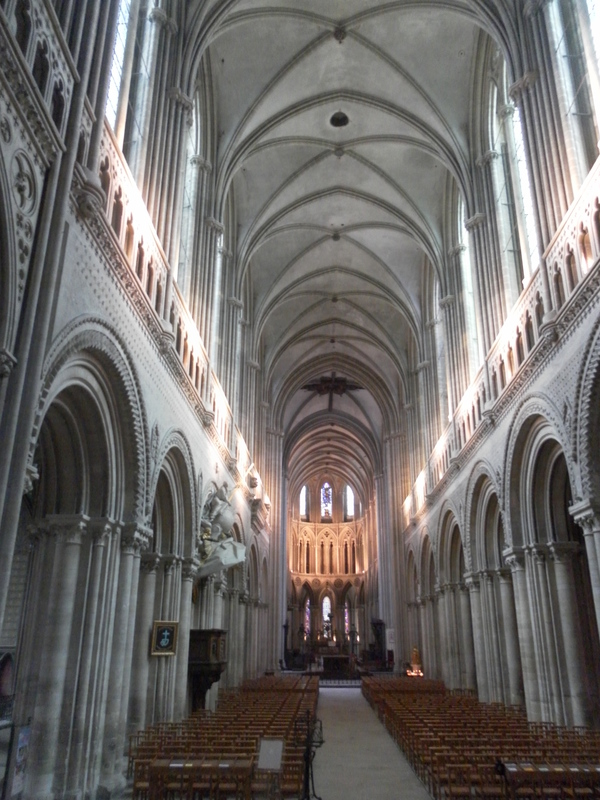 If you have never driven to/in Rouen- here’s a thought. Dont! Seriously the worst place I have EVER driven. EVER. The ring road was like the M25 mixed with Spagetti Junction x 100. 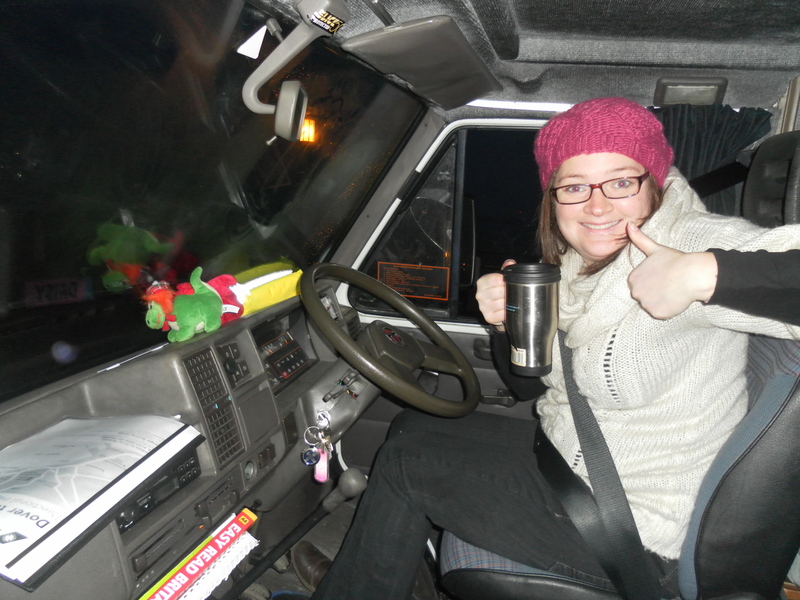 To cut a long story short, I had an argument with Sarah (the sat nav), disagreed with the directions, swerved off the duel carriageway to get to road I was SURE we needed to go down. I was so busy “being right” I missed the height barrier signs, and then of course the height barrier, and bammed right into it at 40mph. Even this didn’t stop me, I carried on and then realised- what is the height barrier protecting. The underpass of course. So I had to reverse up a duel carriage way, the wrong way, back through the height barrier that we were too tall for (all with traffic coming our way of course, pipping etc). Screeched onto the main ring road again and hoped and prayed that nothing had fallen off the top of our roof. As sods law would have it, we couldn’t actually pull over for about 10 minutes to check everything. The worst 10 minutes of my life. I wasn’t sure even if the roof was still there. THANKFULLY it was and all was ok. Or so we thought. Later that night we discovered a leak, and unfortuntely that was the beginning of the end! We needed a new roof vent for a start and over the next year we would discover more leaks. But at this point we were blissfully unaware so after several stiff drinks, we could see the almost funny side and were ready to carry on with enjoying our week in France. The Somme was a great place to visit too. Thiepval was another moving experience as was the circuit of Remembrance that we took part in having found a leaflet with the driving instructions on. 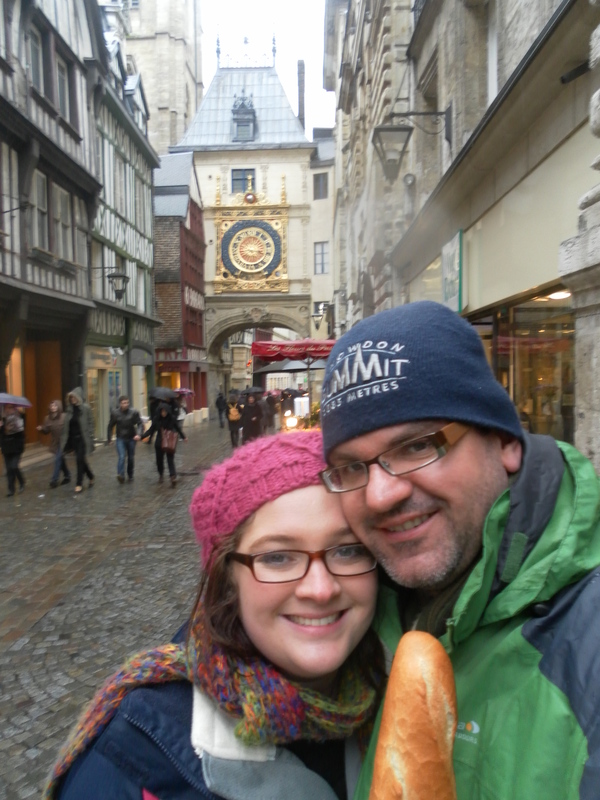 We ate so much lovely French food, and drank some fantastic wines. We survived without hot water and heating for a week and we didn’t have electric either. We showered in cold water using bottled mineral waters as the taps had frozen up and we spent a fortune! But, we had a great week, despite the fact I nearly killed Daisy. Would we do it again? It’s taken me a whole year and a new van, but now we have Bluebell, yes I really think we would. 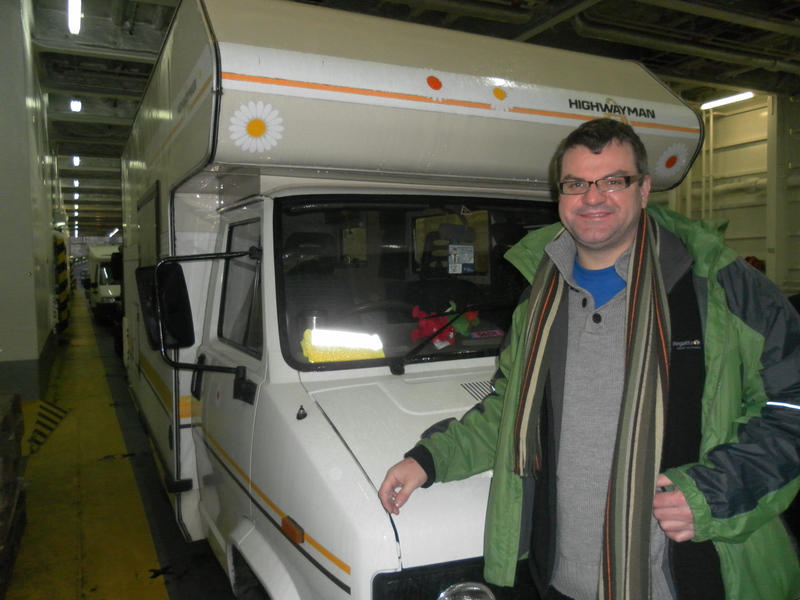 Although I don’t think Keith would let me take Bluebell back to Rouen…. Cath Kidston DAB radio- the coolest thing since sliced bread. Now who wants to buy me one!